grandma's cookie jar: If I Could Climb Trees - Get a Free Kindle Copy! 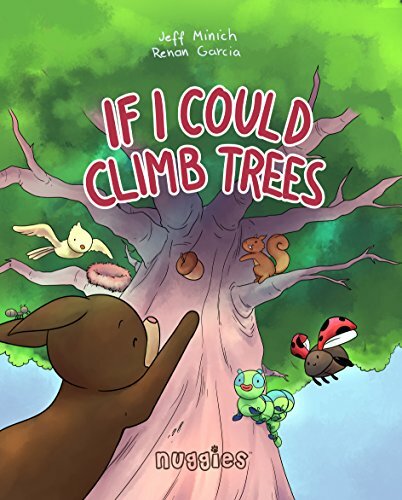 I was recently hired to write a short post about a new book for children, written by Jeff Minich and illustrated by Renan Garcia, which releases on March 28, 2017, so today I am happy to let you know about If I Could Climb Trees and how you are able to receive a Kindle copy for free! · Colorful, creative illustrations which will capture the attention of children. · Fun story of “I wonder what . . . encourages children to imagine and wonder. · Characters children will enjoy. While I have not personally read this book, I like what I see on the website – and if you visit the Nuggies website, you will be able to download free coloring pages! The idea of imagining what life might be like for others – just to discover they may wonder what life might be like for you – is a great way to start conversations with children about how they are able to understand and care about others. If I Could Climb Trees, releases on March 28, 2017, but is currently available from Amazon, Barnes & Noble and other retailers for preorder. And, I’m very happy to let you know this book is available for free Amazon Kindle edition download offer (offer dates: 3/30/17-4/2/17)! For more information, check out the Nuggies Facebook Page.